The members and representatives of the Research Utilization Committees (RUC) in the 17 regions, gathered together to learn strategies on designing effective communication collaterals and website management, and reported their accomplishments for year 2017 to 2018. Held last 6 August 2018 during the 12th Philippine National Health Research System (PNHRS) Week held in Baguio City, the pre-conference session was attended by 75 RUC members and representatives. Highlight of the morning session are discussions that revolved on topic, "Communication Campaign: Designing Effective Collaterals," which aims to raise awareness on the strategies in designing effective communication materials that can be incorporated in the communication plan of the RUCs. Three notable speakers were invited to discuss strategies on designing effective collaterals in print and digital media and how to improve audience engagement using online marketing. Mr. Stanley Coloma, a Creative Evangelist from NasansiStan Design Co., discussed the importance of incorporating the institution's branding in the collateral. He emphasized that institutions should be clear about their brand, brand identity, and branding guidelines. He also discussed the foundations of effective layout and standard tools in layout. Ms. Monika Ortega, a User Experience Designer and Marketing Strategist at ClinkIT Solutions, shared some tips in removing friction in the way of users to fully utilize and use collaterals of research results. She explained the need for branding, the merits of knowing what message to deliver, the importance of knowing and understanding audience, and value of being knowledgeable about the institution's information dissemination platforms. The discussion of Mr. Bernard San Juan III, General Manager of TrueLogic Online Solutions Inc., highlighted the importance of having a great content in the communication materials. According to Mr. San Juan, a great content tells a story which can be achieved by making the content accessible, informative, media rich, answers questions, makes the audience better, allows people to interact, and evokes trust. 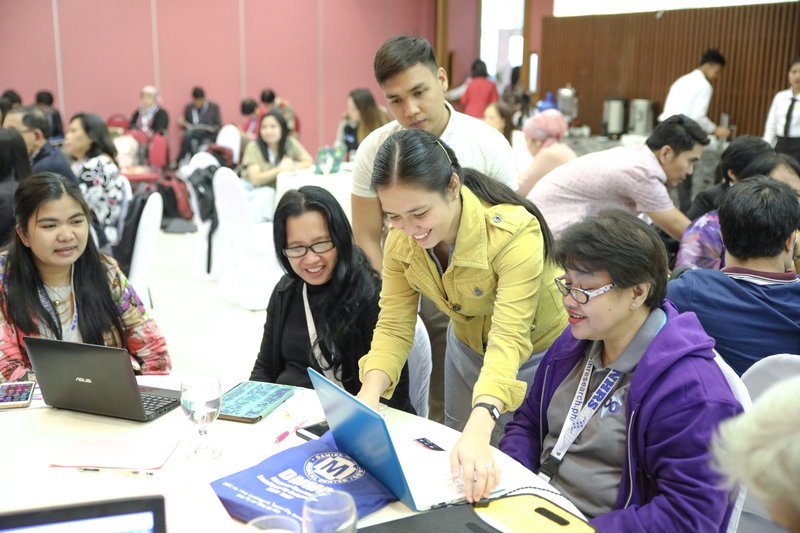 In the afternoon, the participants were trained on using the open source content management system, Joomla, which is used in managing their respective consortium website. Best part of the afternoon session was the reporting of the accomplishments of the RUCs wherein achievements for the published papers, conducted research conferences, and other activities were presented.